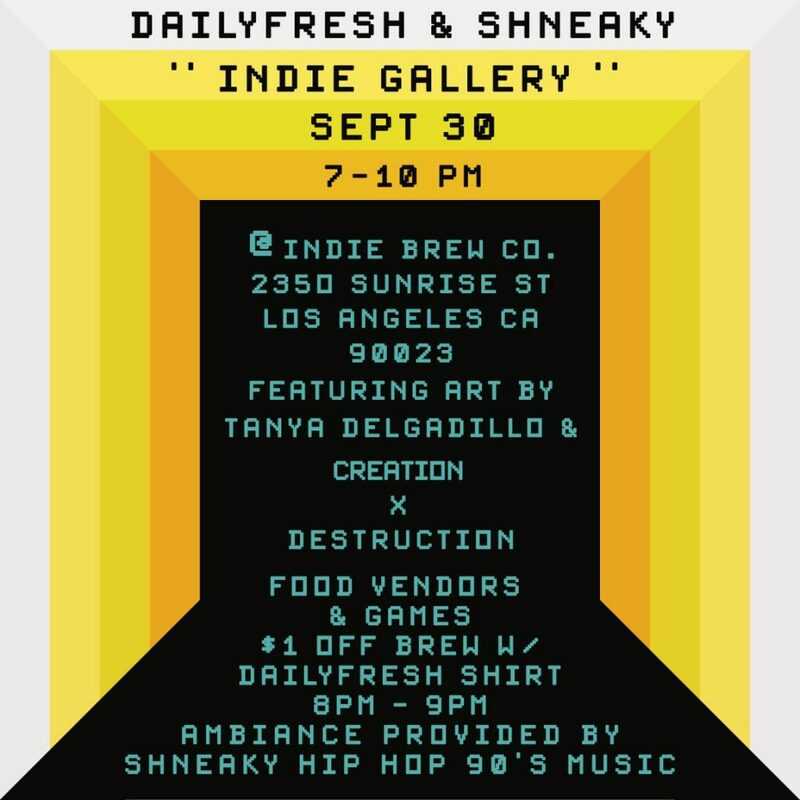 Join us at the Indie Brewing Company (@IndieBrewCo) for a few hours of ART, MUSIC, and BEER! APPRECIATE the ART of Tanya Delgadillo (@tanyamandala) and Creation by Destruction (@creationxdestruction). DRINK one of 8 Indie Brewing Company BEERs on tap in your choice of taster, half pint, or full pint. FEAST on Barks BBQ (@barksbbq) who will be cooking on-site and fresh to order. FUN GAMES, GIVE-A-WAYS, AND PRIZES!! !